Here’s a look at the best 5 tech deals that are currently going on Amazon on speakers, Amazon devices and more. If you have missed out the Great Indian Festival sale both times then you don’t need to feel disheartened, we’ve got you covered. 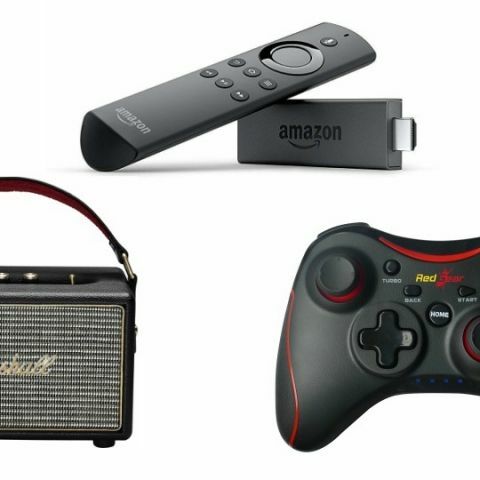 Amazon still has some pretty good offers on a plenty of gadgets such as speakers, Amazon devices and more. So, let’s take a look at the deals. The Amazon Fire TV Stick is a media streaming device that connects to your TV via an HDMI cable and allows you to stream movies and songs from apps like Netflix, Youtube, Hotstar, Gaana and more. It also comes with a voice remote, which lets you search on Amazon Prime app for movies or TV shows using a voice command. View deal here. The Redgear Pro Wireless Gamepad is compatible with Windows 7 and above. The controller works within a range of 10m from a connected device. As per the company, on a single charge user play for up to ten hours. View deal here. The Amazon Echo is a hands-free smart speaker that connects to a cloud-based assistant Alexa, which allows you to control the speaker using your voice. One can ask the assistant to play music, check the weather, book a cab, order food and for a lot of other stuff. Users can also connect an external speaker with the Echo via Bluetooth or an AUX cable. View deal here. The Marshall Wireless Speaker is a portable music streaming device that also features a 3.5mm audio jack. As per the company, the speaker can last for up to 20 hours on a single charge. View deal here. The Logitech M235 Wireless Mouse is compatible with Windows XP and above. The mouse comes with a 2.4GHz wireless connectivity and features an advanced optical tracking sensor that allows the mouse to work on almost any surface. View deal here. which is the best speaker for bass lovers?